The annual Grain SA Congress will be held on 8 and 9 March this year. Pula Imvula asked Jaco Minnaar, Grain SA’s Chairperson, to answer some questions that are frequently asked. What is the Congress and how is it constituted? 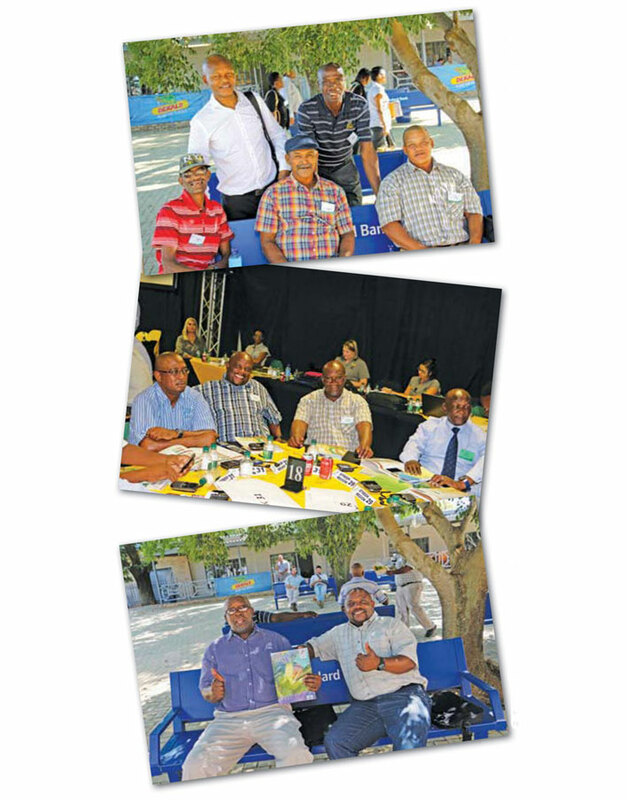 The Grain SA Congress is the annual general meeting of members and is the highest authority of Grain SA. Congress is convened annually on a date and place determined by the Executive. The Congress is scheduled to take place on 8 and 9 March 2017 at NAMPO Park, Bothaville. Handling of other special matters to be discussed. How are delegates elected to Congress? The Constitution makes provision for representation on the basis of paid levies per region for commercial regions. The number of delegates per region are amended annually by the calculation of the three year sliding average of levy payments per region. After consultation with the representatives of the Farmer Development Working Group on 28 September 2016, it was agreed to that the delegation to Congress from the four developing regions, be calculated by taking into account the number of paid up 250 Ton Club members from these regions. The delegates from these regions will therefore be as per Table 1. At the regional meetings before Congress, delegates from the regions will be nominated to attend Congress. When must membership fees be paid-up? Membership fees and the commodity levy (if applicable) are paid annually from 1 March to the end of February, when the financial year for membership fees and levies ends. The status of membership is determined by the payments received until the end of February that precedes Congress. No payments for membership fees will be accepted on the day of registration for Congress or during the Congress. The current membership fee for commercial members is R1 000 plus VAT as well as the commodity levy. The membership fee for study group members is R30 per annum. Be nominated to serve in any official capacity. Such a person may only attend the Congress as an observer. Please ensure that paid up commercial members are elected as delegates to Congress. It will be recommended to Congress 2017, that the constitution be amended to provide for only two categories of membership, ie commercial members who produce at least 100 tons of grain for marketing, and study group members who produce less than 100 tons of grain. Can I attend the regional meetings before Congress? Notice of regional meeting before Congress will be sent out via the Grain SA and regional offices. All grain producers are welcome to attend the regional meetings and ask questions to Grain SA staff and office bearers. Only paid up commercial or study group members may vote at regional meetings. Who can vote at Congress? Only members whose membership fees and the industry levy are paid up by the end of February 2017, qualify as a voting delegate to Congress. How are the chairperson, two vice-chairperson’s and Executive elected? Congress must annually elect a chairperson and two vice-chairpersons from the delegates to Congress, and they must remain in office until the conclusion of the Congress following the Congress at which they were elected. A person may be nominated and elected as chairperson or vice-chairperson of Grain SA, only if that person has been delegated as paid-up delegate to Congress by the region represented. If the chairperson or first vice-chairperson is not representative of developing producers, the second vice-chairperson to be elected, must be representative of developing grain producers. One representative for each region (1 to 31) are elected to the Executive for a term of two years. The members of the Executive of regions are nominated during Congress by the relevant region's delegates, and elected by them by closed ballot. It will be recommended at the 2017 Congress that one additional member must be elected to the Executive, representing developing producers. The Chairperson, two vice-chairpersons and the additional member do not represent a region. Article submitted by Jaco Minnaar, Chairperson: Grain SA. For more information, send an email to jaco@compuking.co.za.